PHOENIX – The hard drives, cellphones, televisions and computers sorted at E-Waste Harvesters might otherwise have wound up at landfills. Even though there’s no state law against disposing of electronics that way, there are downsides for owners and the environment. A television, for example, can contain 4 to 8 pounds of lead that breaks down in landfills and can foul groundwater. A cellphone or hard drive may have personal information that others can exploit. E-Waste Harvesters recycles, disposes and harvests useful metals from the electronics and other e-waste it collects from businesses, individuals and events sponsored by the Arizona Department of Environmental Quality. “We are bringing a higher level of engineering skills and technicians to this problem,” said Richard Wong, president of E-Waste Harvesters. Dealing with electronic waste is a growing challenge in the United States and in other countries, some of which take in and break down items discarded in developed countries. The average U.S. household owns approximately 24 electronic products, according to the Consumer Electronics Association. 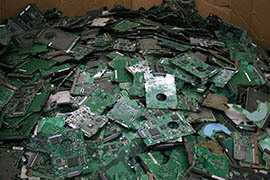 The Environmental Protection Agency reports that about half of states have laws on disposing and recycling electronics. Arizona isn’t among them. In addition to lead, some electronic devices, including computers, contain toxic substances such as mercury, cadmium and beryllium that can cause health or environmental problems if not handled properly. “There’s lots of health risks,” said J.B. Shaw, recycling coordinator at ADEQ, who works with e-Waste Harvesters electronics take-back events. 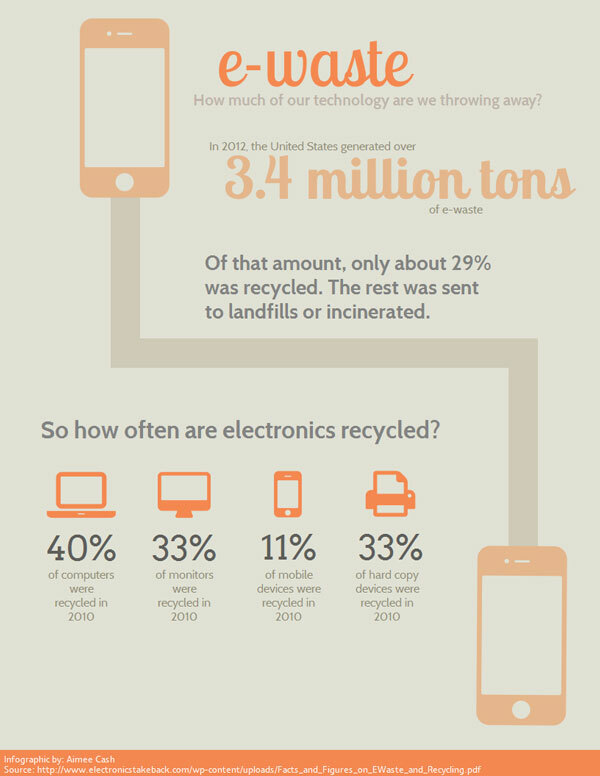 Since 2009, ADEQ has organized more than 100 events that have collected 2.5 million pounds of e-waste. “We could do a lot more,” Shaw said. E-Waste Harvesters offers pickup services and organizes free events to gather e-waste at churches, schools, businesses and nonprofits. At its facility, waste arrives by trucks and is sorted and separated by hand into cardboard boxes. Items that could be environmentally hazardous are set aside for special handling. Certain electronics, including hard drives, are disassembled to ensure data security for clients. 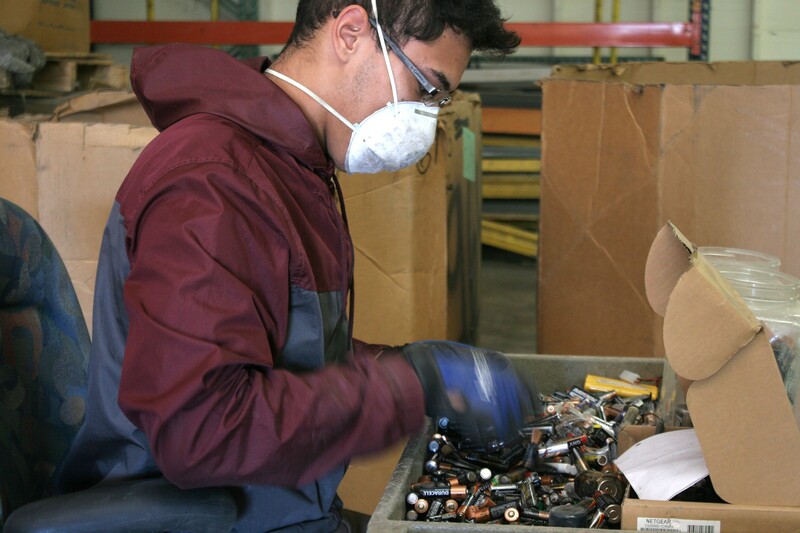 The facility has technicians who examine every item to decide whether something can be resold in an outlet store at the E-Waste Harvesters facility. Parts that can be used, including hard drives and operating systems, are used to create refurbished computers. 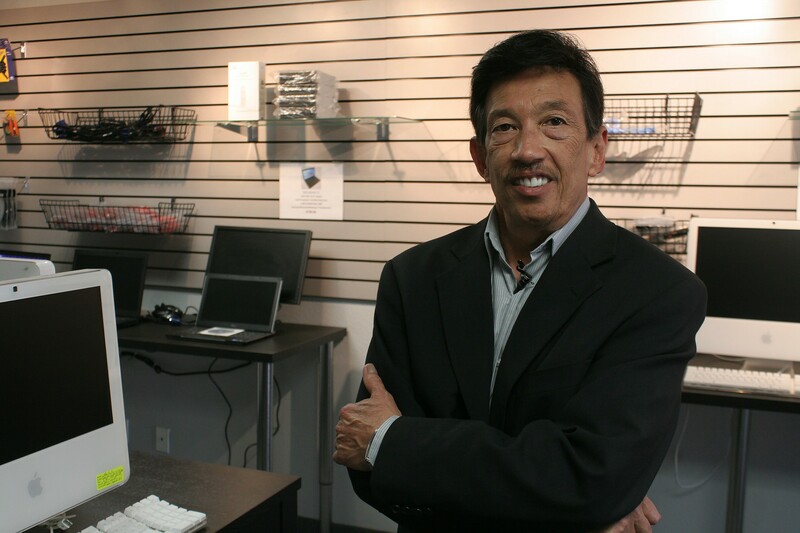 “The most marketable items are PCs and laptops,” Wong said. Cellphones are taken apart, starting with the case, then memory card and battery. Those parts can be used to make new phones. Any remaining plastics that cannot be used are recycled. Carole Mars, research manager at The Sustainability Consortium, an effort jointly administered by Arizona State University and the University of Arkansas, said people should consider using equipment longer or getting it to a company that can refurbish or dispose of it properly. “One of the challenges is that people go out and buy a new phone and throw the old one in a drawer,” she said. Another way to address the challenge of e-waste is buying items that have been refurbished, Mars said. “There shouldn’t be a fear of reused equipment,” she said. One phoenix man has made a business out of recycling old phones and other electronics that can be found lying around the house. 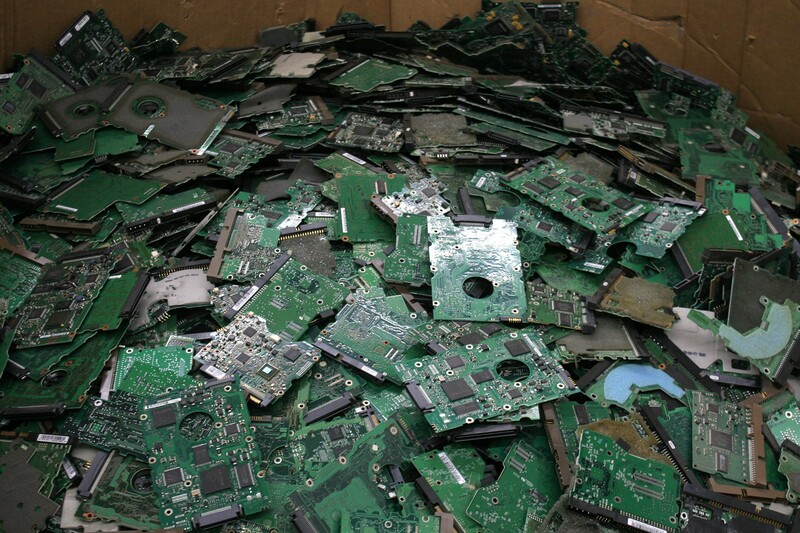 Depending on the type and condition, used motherboards at E-Waste Harvesters can be used to build refurbished computers. Richard Wong, president of E-Waste Harvesters, shows refurbished computers available in the Phoenix company’s outlet store. 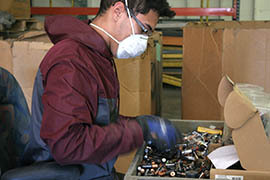 Vincent M. Villanueva sorts through batteries at E-Waste Harvesters in Phoenix.